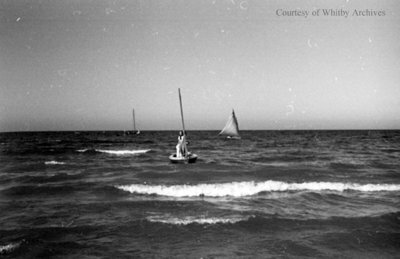 A black and white negative of two people in a sailboat on Lake Ontario. View is of the sailboat from the shore. Two other sailboats can been seen in the background. Sailing on Lake Ontario, c.1936, Marjorie Ruddy. Whitby Archives A2013_040_185A.